Surprisingly, one of the best towns in America to visit for some Potterhead fun is Los Angeles! With the new addition of Universal Studios Hollywood, Los Angeles is a hot spot for us to flee to. I wanted to give you a brief overview of the places there are to visit in Los Angeles. Some time down the road I’ll be reviewing each of these with a little more detail in their own articles! I wanted to mention this magical fandom shop first as its getting ready to close its doors here shortly. If you live near Los Angeles, I highly recommend going to see this shop before it shuts down! The place just feels magical from the second you walk in. While it’s not Harry Potter themed entirely, there is a great section of old and new Harry Potter merchandise to the left side of the store. There is also a section where you can buy wands in the back left of the store. Be sure to look up and around, too! There are plenty of things for the Potter eye to see. Also make a trip to the back of the store and peek at all of the amazing artwork. There is a “Great Hall” located in the hallway as well. If you can peek your head in there you can see the portrait of the fat lady leading into their office! This is a must do for any Harry Potter fan! Located right outside of the Chinese Theater on Hollywood Boulevard you can see where Daniel, Emma, and Rupert left their feet, hand, and wand imprints as well as their signatures. Be sure to get there to check out the Harry Potter section earlier on in your day. Hollywood Boulevard gets very busy during the afternoons, especially during tourist season. While you’re in the neighborhood, hop down to the 6800 block of Hollywood Boulevard and check out Daniel Radcliffe’s star! If you can’t make it to the Wizarding World of Harry Potter in Orlando (which I highly recommend because of the addition of Diagon Alley), Hollywood is a great place to visit! Hogsmeade is always a warm and fuzzy place to be. There are many great shops, including the Ollivander wand experience, to stop in and look around. When you’ve had enough shopping you can ride The Flight of the Hippogriff (which I must say was surprisingly a bit more intense than the one in Orlando) and The Forbidden Journey (which is slightly different from Orlando as well). You could easily do the entire Universal Studios Hollywood in a day or two and there are plenty of great attractions to visit outside of the park. Pro tip: buy your tickets online for early park admission. While I personally haven’t visited the studio tour in Hollywood, I’ve heard plenty of great things about it. There are a few Harry Potter things to do here, including a sorting hat ceremony. Also, there are wardrobes from the Fantastic Beasts series currently on display. 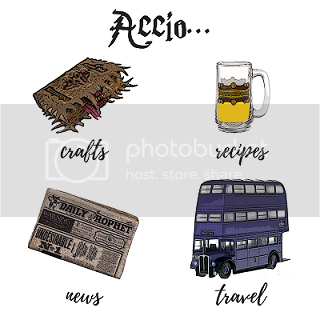 Know of any other Harry Potter locations to visit in the Los Angeles area? I’d love to hear about them! Drop them in the comments below!